b r o o k l y n t w e e d: Carrots. Remember the old cartoon trick of the dangling carrot, strung up from a fishing pole? Well, I've gotten myself some carrots. It's maybe the simplest way of tricking yourself to power through the tough times.... but really, whatever works. I guess this is the first time I've ever seen a cashmere carrot, though... and hopefully not the last! It's been nose to the grindstone around here, finishing up my MFA (May is almost here!) and doing some hefty knitting work (soon, soon to show) and I kinda hit the wall a short while ago. After a few days in the dregs, strategizing the next couple of months, I got on the subway and went to one of my favorite NYC hideaways - School Products. The oldest yarn shop in Manhattan, I like to drop by whenever I need a pick-me-up (Consumer Alert!) because you just never know what you're gonna get. (And you always find something) The folks at SP keep a steady stock of discount luxury fiber cones (primarily cashmere) Italy and sell them to us budget shoppers. As usual, I went in distraught and came out feeling refreshed. The other sweet treat (don't they kinda look edible?) is one that I can enjoy throughout the coming weeks - I've been trying to implement small but regular batches of spinning time into my week (Some meditate, I spin). This little shetland fiber sampler from Jamieson & Smith is the perfect thing - small amounts in harmonious, all-natural shades. If I can keep it consistent, I'd love to do some colorwork with the finished yarns - it could make for a real knitting gem. 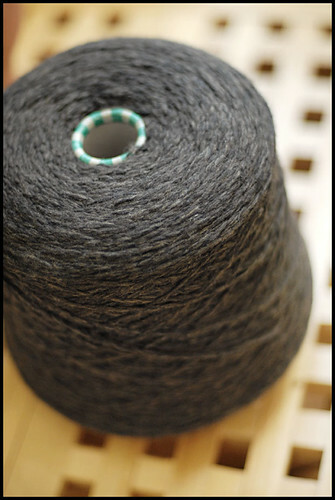 Shetland is my favorite fiber to spin (I know, I'm a broken record) and keeping things simple is my preferred philosophy on most things in life, so here's to some good spinning! They're lovely! Looking forward to seeing the gems you make of these treasures. Better a carrot than a stick to beat you with should you fall by the wayside. Good luck to you! They look like an ice cream parlor. My mouth is watering. Your carrots are very fine looking, they would motivate me too. 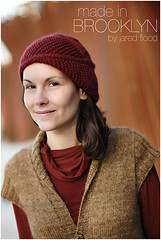 such carrots, i'm a bit curious about the handspun colorwork, i can't wait to see the result. Can't wait to see what you do with your carrots! Oh how lovely! The Shetland ice cream puffs are gorgeous. On your advice I'm on the lookout for a Shetland fleece - like I need more wool, enabler! Your work simply amazes me. Thanks for the constant inspiration! Mmmmmm. 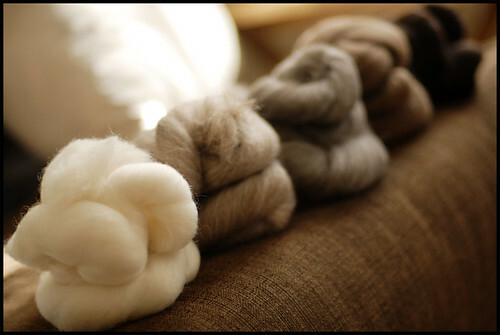 Merino cashmere. Sounds yummy. I love the color. Can't wait to see your work in progress. Sounds like you did well in cheering yourself up! I am not a spinner, but that fiber looks amazing! I want to pet it!! Jared, just keep dangling those "carrots" in front of us, such motivation! I'm so jealous of your proximity to so many cool shops in NYC. We have no such thing in Indiana. What lovely carrots! The merino cashmere sounds lovely. Oh my! Such gorgeous photography. I can hardly wait to see what you make. Bought the new Vogue Knitting today - I can't help but buy any magazine that has your work in it! 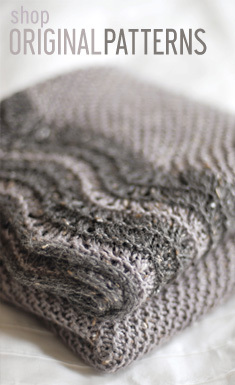 The merino-cashmere looks like it'll be great to knit. Enjoy it. Jamieson & Smith have a sampler!? How much fiber is it? How much is it? Where can I get one? Oooooohh! It looks good. I love me some Shetland. Spinning little amounts of the good stuff is such a reward, no? I just took Sweet Georgia Yarns' Little Luxuries class today and I feel so renewed in my love for it. Oh my! I like so much these natural colours! Nice carrots you've got there! mmm--the roving looks like so much 'good eating'! colors & fiber-caresses always cheer me up, too. well-named fibers also bring smiles. 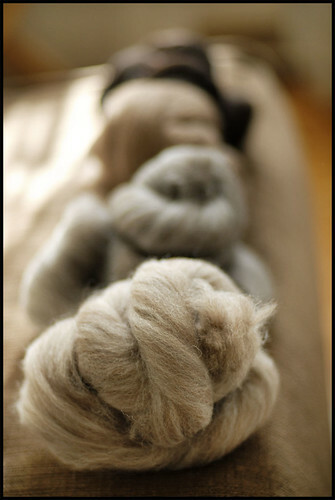 what will you name your spun roving? good luck & bright blessings as you complete your MFA. It just makes me want to dive in a pool of natural colored fiber. Fiber carrots are such a wonderful concept! So nice to be able to just nip down to School Products, too. 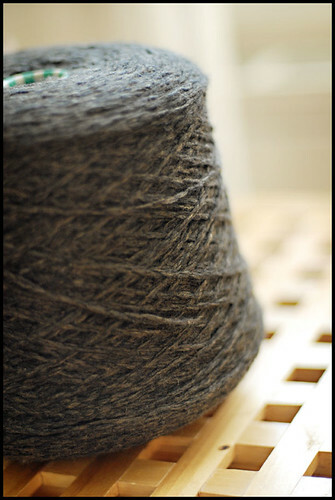 And I love the phots of that Shetland sampler as much as you love the fiber. What a wonderful way to motivate yourself! Best of luck to you in the coming months. oh Jared! School Products is my favorite hang out on my way home from work. You never know what you're going to find there from Karabella through beautiful Italian mill ends! This is my first time to comment on your blog. I LOOOOOVE School Products. I paid it a visit one year ago yesterday when I made my first trip to NYC. There are so many treasures. I brought home 350 yard skeins of cashmere for my knitting friends. One of those friends designed a lovely lace scarf pattern for our skeins. Good times!!!!!! I'm drooling over that cashmere yarn. beautiful. and i can't wait to see what you have been working on!! Your fiber samples looks like choclate-treats...yummy!! I just love the new cashmere you purchased. I am staying tuned to see what beautiful thing emerges from it. Hi Jared, Congrats on the great Vogue article. I couldn't help but feel slightly smug that I was a fan and blog reader before your Vogue mittens, and I am sure you have many more fans now. I look forward to your book. Wow! Jewels, all! I can't wait to see what you make! DROOL. That's all I have to say. You know what they say about making carrot cake out of carrots!!! The fiber looks gorgeous in the state of the picture it was taken. I love the simplicity and chemistry natural tones have, so it's even more attractive to me. Thanks for sharing the SP site, I'll definite peruse it. Spinning is definitely, for me at least, a calming and enjoying experience, I just need to invest in a wheel to further enjoy it, drop spinning is not as nice on the spine or neck area. I'd love to see your handspun. when I saw your cone photo on FlickR I thought "oh..he is buying at ColourMart as well" ..but looks like Richard (the guy from ColourMart) is not the only one buying cones of cashmere and other luxury yarns from Italy!! Hey, congrats on the article in "The Observer!" It makes you look like the Official Male Ambassador of Knitting (I mean that in the most flattering way, I assure you!)! !